If there’s one district that is beautiful year-round, it’s the Old Town. 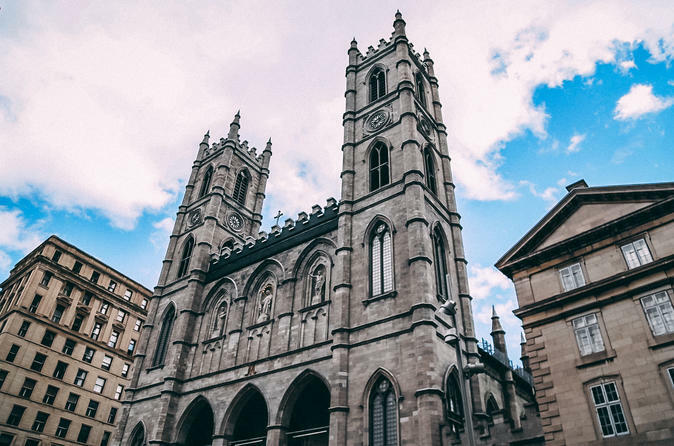 Start your walk with entry to the most ornately decorated Basilica before wandering the elegant streets of Vieux-Montréal. You will pop into some historic and architecturally impressive gems. Stroll through a segment of the interior, or underground, city, the largest indoor network on the planet to make your way to Chinatown for a quick snack. Then it's off to the Red Light District turned entertainment mecca, for a quick visit of an often missed district institution. Up Saint-Laurent Boulevard, head into a street art gallery before hitting the streets to see about a dozen of the impressive works of art from Montréal's Mural Festival in the borough that is home to the highest concentration of artists in Canada. End the day with a cup of locally roasted coffee at an independent made-in-Montréal café before receiving a list of recommendations for the remainder of your stay.